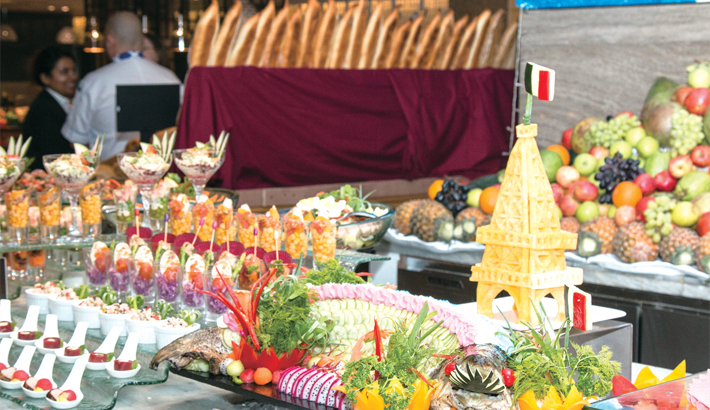 To present the myriad variety of French cuisines, Le Méridien Dhaka along with Embassy of France will be hosting Goût de France/Good France food festival. The festival will be held on March 21, 2019 at Latest Recipe of the hotel. This event will showcase France’s gastronomy, offering French-style menus across the world. This year Goût de France/Good France will support the ‘No More Plastic Foundation’ represented by Alexandra Cousteau. On March 21, 2019, across five continents and in over 150 French embassies and consulates, chefs will propose their vision of a French-style dinner in an extensive program celebrating sustainable cuisine. Chef Austen Reid will prepare a French-themed buffet dinner at Latest Recipe which includes Salad Nicoise with warm poached eggs, Shrimp bisque, beef cheek bourguignon and pineapple Tarte Tatin. All the items will be made with locally sourced sustainable ingredients. The dinner will cost BDT 3,900++ per person.